Trackstar Advance once fitted is the best anti key cloning & key theft device available on the market today and is suitable for use on all vehicle types from all manufacturers. 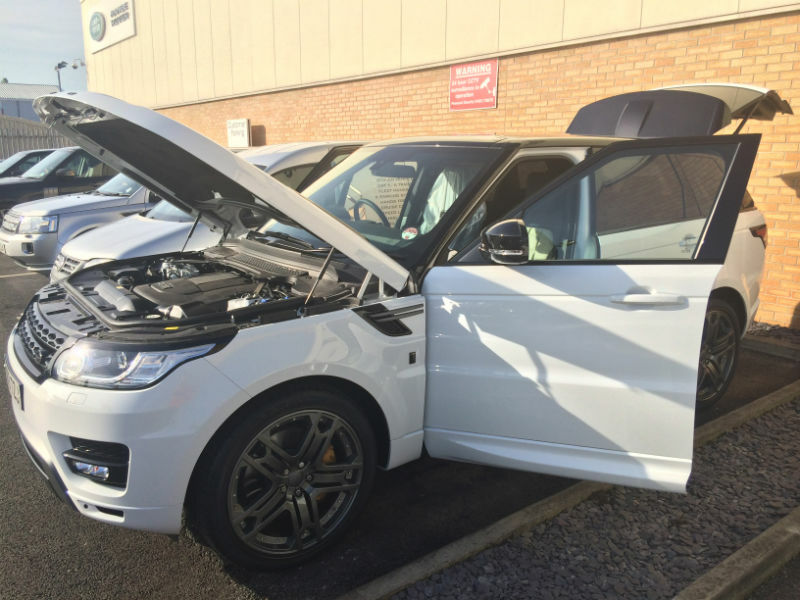 The products is essentially approved by BMW, Jaguar and Land Rover / Range Rover, it's no secret that these vehicles are high on the list for car thieves. A Trackstar Advance Fitted will dramatically reduce the chances of your vehicle been taken without the keys. BBC Watchdog investigated just how easy key cloning could actually be done, the results backed up victims claims. The report can be viewed below. Trackstar Advance Fitted today into a 2013 Range Rover Sport. Our mobile fitting service visited the customer at his work address to fit the Advance unit. This took place in the Normanton area just between Wakefield & Castleford. The Trackstar Advance Fitting process is very straight forward for our Thatcham Recgonised Installers. Once installed to the vehicle our engineers gave a full demonstration to the customer, allowing them time to ask questions about the Trackstar Advance. If you would like to know more about the Trackstar Advance Fitted please do not hesitate to contact us to discuss your requirements.